Is demand management illusively complex? Here’s a look at some best practices in demand management and characterization. 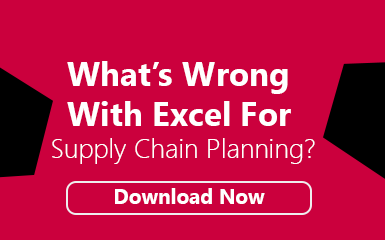 Supply Chain Planning is a continuous business process that enables firms from hospitals to chemicals to respond to emerging situations in an intelligent manner maintaining a balance between demand and supply. The intelligence is achieved by collaboration and alignment throughout the organization supported by software where there are five major activities: demand management, supply planning, inventory management, available to promise, and ongoing analytics. Our focus is a brief review of the core components of best practices in demand management (DM) and some observations. Read More: What is a Demand-driven Supply Chain? Demand Management Best Practices: Questions to start! Exit demand for finished products from large suppliers either sold to consumers, component parts for another manufacturer, or spare part replenishment. This is in contrast to “exploded demand”, strategic parts, or parts made strictly to order. Understand demand for each product to support three business functions: financial commitments; production and capacity decisions, and inventory replenishment. Characterization of demand for each product or logical grouping such as quantity, due date, customer, location, importance, and “type” (firm demand, contractual commitment, build to forecast). Advanced characteristics include what influences demand, how demand between parts is related, segmentation (low/high volume; low/high variability), and demand probability distribution. Gather data and institutionalize one source to create a demand management repository. The starting point is determining what data is available and establishing a method to securely capture and store it in a repository. Typically, this includes current orders, shipment history, prior forecasts, current estimates, etc. Often the data initially available supports transactions or accounting; not DM. Therefore the DM application will drive the improvement in the quality of data already captured (example exact dates) and capturing new data (example order history). Knowing what data you need requires knowing what methods you will use to create demand estimates, this drives an iterative process. It is critical to ensure everyone in the organization uses this common source. Capture information from the sales force. Technically this is part of “gather your data” but is different in nature than most supply chain data, hence its own listing. This component enables the sales force to input and reviews its estimates of demand in a controlled process at different levels of aggregation. Manipulate, mold, and analyze (MMA). With the repository in place, it is critical to have software that enables all participants to access the data they are entitled to see and manipulate as well as mold it as desired. Typical MMA activities include filters, dynamic hierarchies, aggregation/disaggregation, tree structures, slices, drill downs, comparisons, tracking changes over time (orders moved in or been pushed out), etc. These must be seamlessly integrated with analytics and visualization that supports department preferences. Developing and implementing set of methods to create a demand estimate or forecast. For simplicity we will assume the end result is a “point” estimate – for each product or logical grouping, a single estimated value is agreed upon for each time period (day, week, monthly). In a future column, we will address variability and certainty. All quality forecasts require the successful collaboration between individuals with their varying expertise and analytical methods. Management must nourish collaboration, each member (including the math) has its role and implements a forecast value-add process (assess how each step improves the quality of the estimate). Without the right software to support collaboration, real collaboration is dead on arrival. The dominating factor becomes the mechanics to get some answer to management by “Tuesday”. A mechanism for ongoing evaluation and alerts. Typically, a complete new forecast is done once a month. In between it is critical there is a monitoring and alert process in place. Consistently measure forecast accuracy and adjust. Begin with a clear understanding of your demand streams: historical patterns; differences between customers or products; geographic patterns, etc. In the early stages, avoid evaluating how much demand can be met through marketing programs. Understand the difference between precision and accuracy. Use the forecasting methods appropriate for each product group → in math talk – segment. Sometimes the drive for consistency will lead a business to use the same forecasting method for every item – this is a recipe for disaster. Isolate the cause of variability. For example, the product level forecast may be highly variable; breaking out the data to ship-to level may indicate the variability is limited to a few customers. Creating a quality demand estimate is hard work! Working with a firm experienced in the software and creating the methods can be of immense help if knowledge is transferred to your people. In 1994 the IBM Microelectronics Division, itself a fortune 100 size firm, put in place a major effort to create best-in-class supply chain planning process for semiconductor-based packaged goods (SBPG) used in computers, cell phones, cameras, etc. I was fortunate to be an original member working on the software development. During the first two years, I worked on a complex model with optimization to match assets with demand and then assigned to an effort for a best in class demand management. With 20 years of experience in computational methods. I thought demand management would be a walk in the park. I quickly learned it was illusively complex. A quality demand management application enables the successful interplay between human expertise with analytics generating smarter solutions faster.